Landscape Lighting Bloomington & Goodfield IL | Tri-County Irrigation & Plumbing Inc | TCI Companies, Inc.
Showcase your beautifully groomed garden, lawn, paths, and trees both day and night by creating dramatic effects with professional, quality landscape lighting installed by Tri-County Irrigation. Just a few landscape lighting fixtures around your garden, patio, or deck will enhance the true beauty of your surroundings, bring them to life, and give them a new focus and dimension. Here are a few landscape lighting and outdoor lighting suggestions that will help enrich every detail of your property, while adding comfort and security year round. 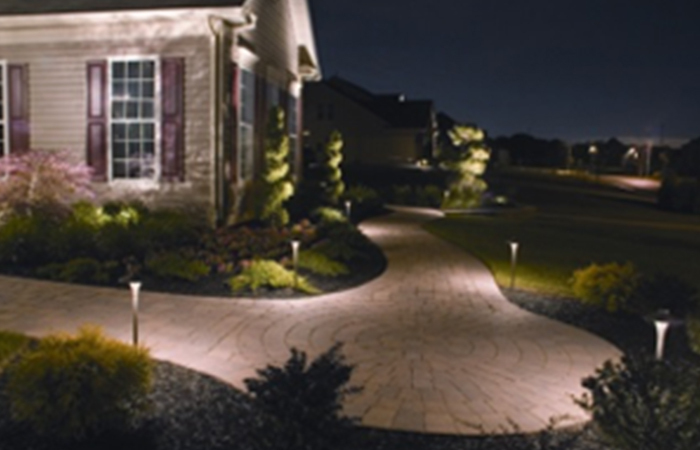 Path Landscape Lighting illuminates walkways evenly and clearly, while avoiding glare. This can be achieved by placing lights along a path or in dark areas leading up to your home, garage, or patio. Garden Lighting can be used to illuminate ground cover, shrubbery or flowerbeds or to feature an interesting area of your garden. Accent Landscape Lighting focuses illumination to highlight trees, shrubbery, or the texture of exterior walls. Accent step lights also add safety to stairways, paths, and patios. 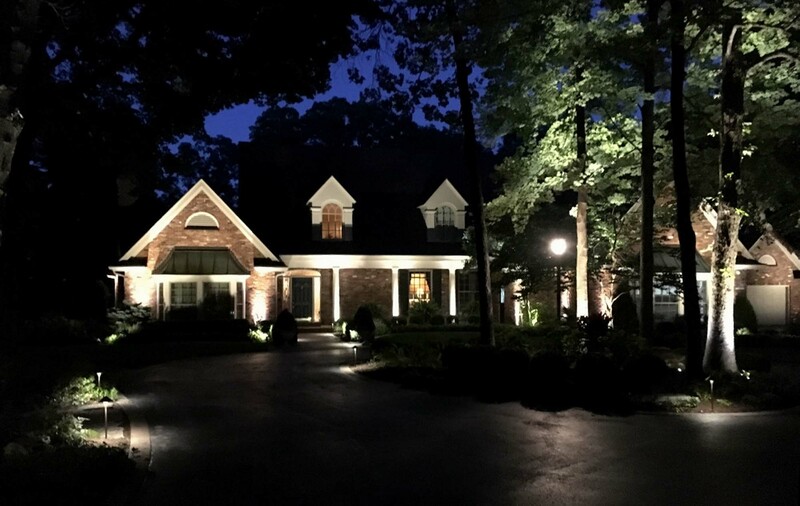 Landscape Spotlighting is effective in turning an interesting object such as a statue, tree, or entryway into the focal point of the outside of your home. Cross Landscape Lighting brings a tree or statue into three-dimensional life. This effect is achieved by lighting the object from two or more directions with multiple accent lights and “crossing” the light paths. Have confidence that our lighting systems will provide the best results for your property. Our service department will keep them running for years.